Patrick’s emotional grasp of Christian truth may have been greater than Augustine’s. Augustine looked into his own heart and found there the inexpressible anguish of each individual, which enabled him to articulate a theory of sin that has no equal – the dark side of Christianity. Patrick prayed, made peace with God, and then looked not only into his own heart, but into the hearts of others. What he saw convinced him of the bright side, that even slave traders can turn into liberators, even murderers can act as peacemakers, even barbarians can take their places among the nobility of heaven. 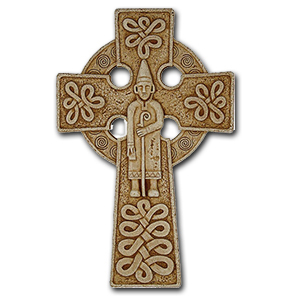 In becoming an Irishman, Patrick wedded his world to theirs, his faith to their life. For Augustine and the Roman church of the first five centuries, baptism, the mystical water ceremony in which the naked catechumen dies to sin, was the foundation of a Christian life. Patrick found a way of swimming down to the depths of the Irish psyche and warming and transforming Irish imagination – making it more humane and more noble while keeping it Irish. I have always thought that Cahill captured the nature of ministry well. While specifically writing of Patrick, his words are inspirational for all in ministry, especially in light of Pope Francis and his own humble approach to relating to others. By looking into the hearts of others, the pope has focused on the positive dimensions of human nature and the ability for all persons to be transformed in the Christ. The celebration of the birth of Bishop Patricius (St. Patrick) into heaven (17 March is the anniversary of his death) gives us a good chance to reflect on our own approach to ministry. On a personal note: Our own family heritage is German and Irish. 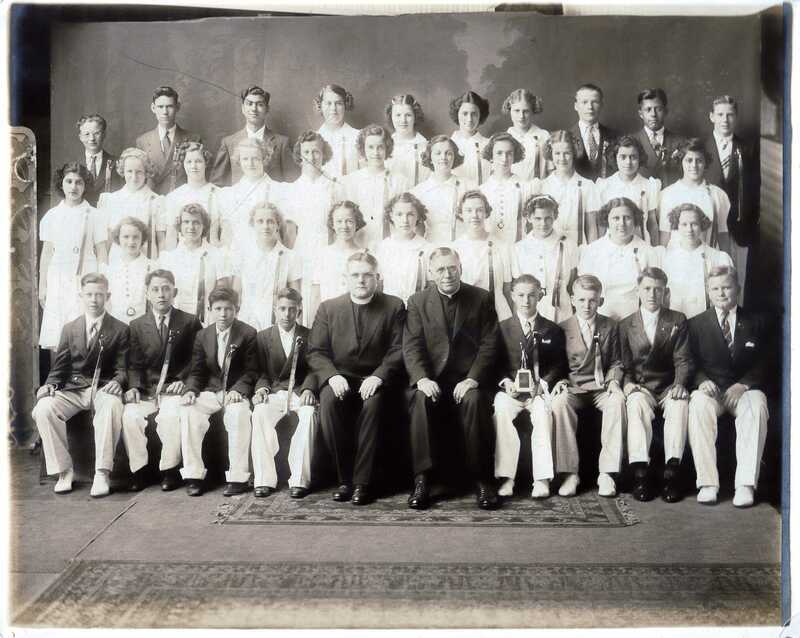 While growing up, though, it was the Irish side that had the greatest impact: we grew up in St. Patrick Parish (which had, in fact, been a largely Irish parish until the middle of the 20th Century), and our pastor was an institution: Monsignor Patrick O’Connor Culleton, of whom I’ve written before here. 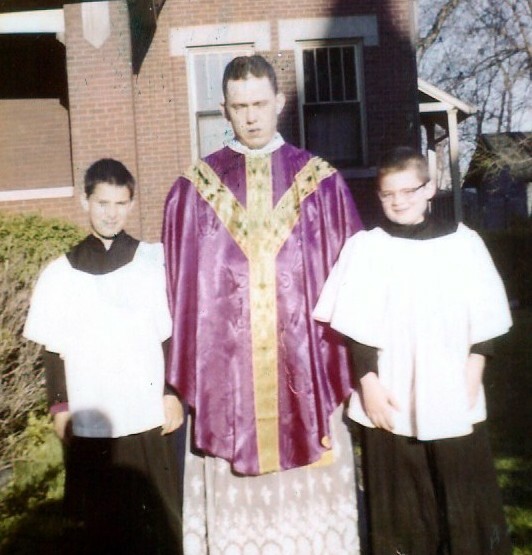 Fulton Sheen spent his first couple of years of his priesthood at St. Patrick’s, under the leadership of the same Monsignor Culleton. 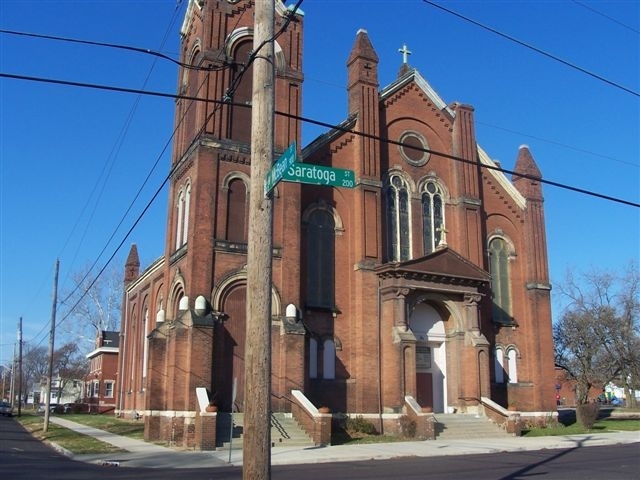 St. Patrick’s was the parish where our whole extended family was baptized, went to school, was confirmed, received first communion, and many of us got married there. The nerve center of our family while growing up was our grandparents’ home just a few steps from the church and school: family, church and school were all of a piece: sometimes it was difficult to see where the spheres of each ended and where they overlapped! But that too is a “Patrick” characteristic, isn’t it? Christ interpenetrates all aspects of our lives in the very core of our being. 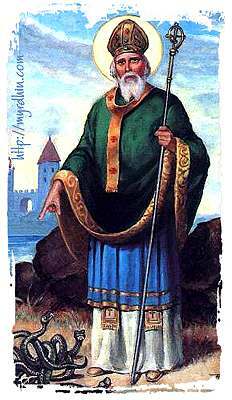 As we celebrate St. Patrick, may we all come to find Christ in all things, and in our ministry may we, like Patrick, find the positive in all we serve, “swimming down to the depths. . .warming and transforming “.